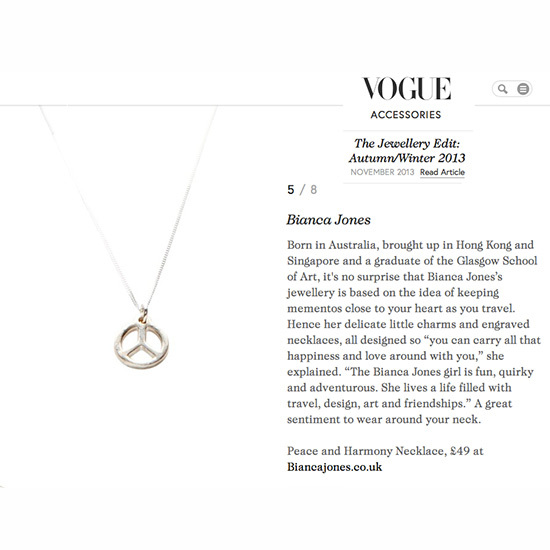 I’m still slightly in shock to be included as one of the 8 in Vogue’s Autumn/Winter Jewellery Edit with my Peace Necklace. Not only are there people on that list that I’ve respected for a long time but I’ve been reading Vogue since I was 13 – so you can imagine how unbelievably chuffed (stunned) I am. Amazing.